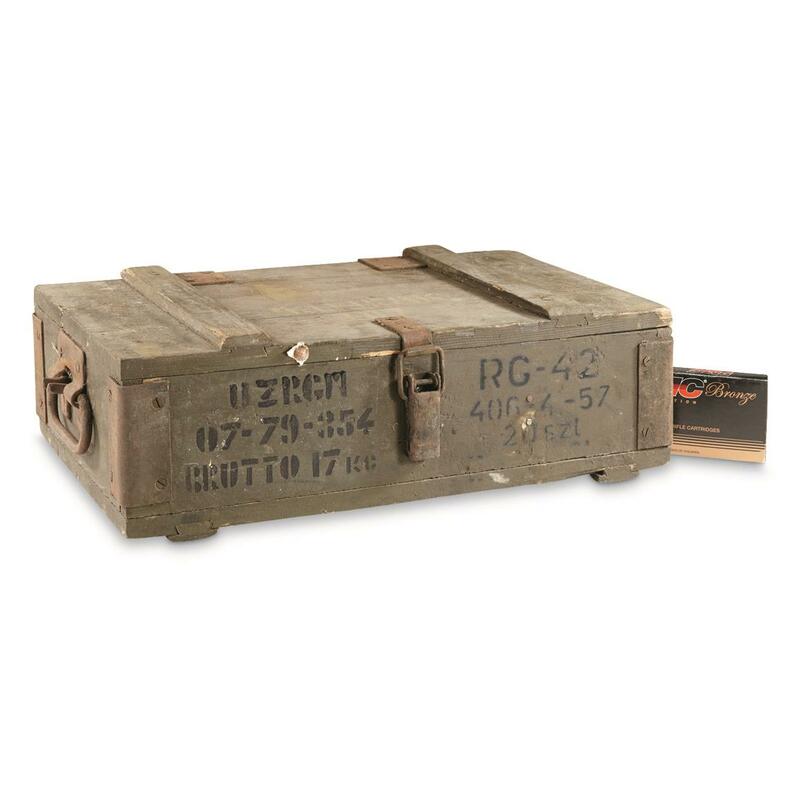 18.5" x 11" x 6"
Originally issued to Polish soldiers for ammo storage, this Military Surplus Wood Ammo Box is now ready for civilian life. 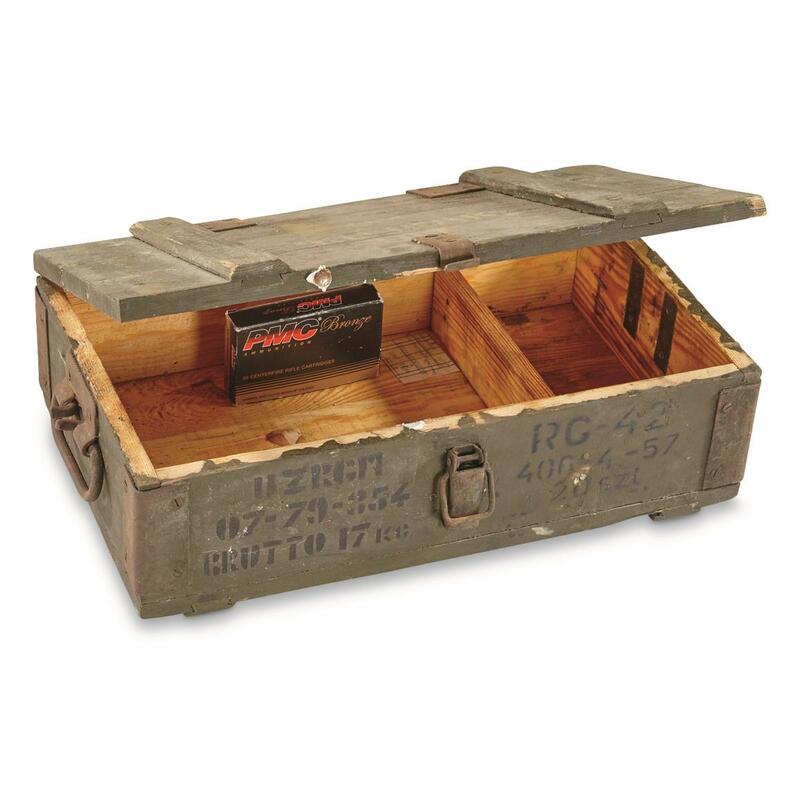 Box is made from wood and comes complete with metal hinges and transport handles. Great for storing ammo or small accessories. Dimensions: 18.5" x 11" x 6"